Just who intends to puff, puff, pass on Proposition 19? Jennifer Soares came out of the closet on April 17, 2010, but not in a gay way. She's a drug lawyer against legalization. Sitting on a legal panel at the International Cannabis & Hemp Expo at the Cow Palace, Soares was asked by an audience member her thoughts about Proposition 19, the Regulate, Control and Tax Cannabis Act of 2010, which will appear on the ballot November 2. With the pungent smell of pot wafting through the endless rows of booths advertising everything from hemp clothing to THC lollipops, Soares nervously spoke into the microphone. "All I can say is, you guys should read the proposition and make your own decision," she told the crowd of hippies, burners, and industry ilk. "Don't listen to what everybody else has to say. You should read it yourself." Soares expected her comment to be followed by boos. But it wasn't. Then fellow panelist and noted reformer Bill Panzer added that he wasn't especially fond of Prop 19, either. "That made me feel a little bit more comfortable so I said a couple more things," Soares recalled. "I was very hesitant at first to come out openly against Prop 19, because it's sort of this thing like, 'How can you be pro-legalization but anti-Prop 19? It doesn't make sense?'" However, the boos started online shortly thereafter. According to Soares, "it just skyrocketed immediately after that." The lawyer began getting scathing calls at her office. In the wired world of drug law reform, she's become a bit infamous, and the next time she spoke out publicly — at Dr. Greenthumb & Tommy Chong's Spring Gathering in San Bernardino on May 8 — the boos in the crowd were audible. 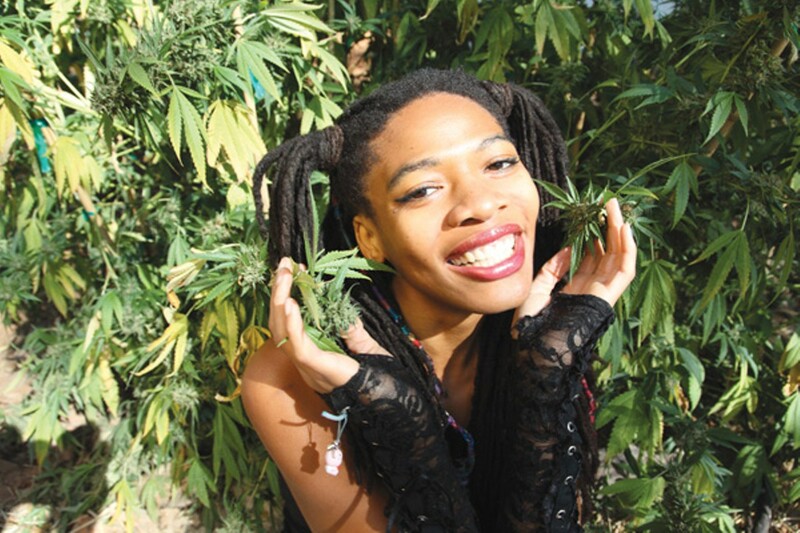 Though Soares says she does not smoke weed herself, she's part of a group of fringe cannabis activists, growers, dispensary owners, and casual stoners who have aligned with cops, big business, and anti-gay marriage conservatives to denounce the most sweeping attempt at legalizing marijuana in California in thirty years. On the radical left, personal unhappiness with Prop 19 recently boiled over into fiery rhetoric containing lies traditionally told by law enforcement. The debate has crossed the line into physical threats against these so-called "Stoners Against Legalization." And their "no" vote could send the close race down in defeat. From its inception, Proposition 19, the Regulate, Control and Tax Cannabis Act of 2010, was contentious among reformers. If passed, it would treat cannabis similar to how society treats alcohol. That means it would be regulated and taxed. It would also end California's Wild West days of growing pot. Under Prop 19, only adults over 21 could possess and grow a limited amount of cannabis for personal use. They could not give it to those under 21. Smoking marijuana in public or around kids would be forbidden. Furthermore, counties in the state would be able to opt in or opt out of allowing the commercial cultivation and sale of cannabis. Started by hemp-activist-turned-Oakland-educator Richard Lee, Prop 19 began with a split from more hard-line reformers in the Bay Area. The proposition was the subject of focus groups and tested in polls to attract a majority vote in California, said Lee, sitting in the third-floor lobby of his Oaksterdam University in downtown Oakland. That meant it had to appeal to swing voters like soccer moms who are concerned with keeping drugs away from their kids. Those moms are unhappy that pot is easier to get than alcohol, and would vote for controlling it. But Lee's centrist plan did not please famed older radicals like Dennis Peron and the late "Hemperor" Jack Herer, who wanted maximum legalization with minimum government involvement. At their most extreme, radical reformers want to throw open the jails and prisons, and grant pardons to all marijuana drug offenders. They want no restriction on giving marijuana to kids and few limits on possession, cultivation, and sales. Meanwhile, what might be called the mainstream drug law reform community, groups like NORML and the Drug Policy Alliance, has had its own problems with Tax Cannabis 2010. Still smarting from an expensive defeat in 2008 over the Proposition 5 "rehab not jail" initiative, they told Lee not to press forward in 2010. Midterm voters tend to be more conservative, they said. Lee should wait until 2012, when the Obama re-election vote could drive turnout on a legalization initiative. But Lee liked his odds in 2010. The recession makes California's expensive drug policy less tenable by the day. The Great Depression helped ended alcohol prohibition, he said, and the Great Recession could help end pot prohibition. So Lee pulled $1.4 million out of his Oakland businesses to get enough signatures to place Prop 19 on the ballot. Since then, the entire world has been watching the race, and while mainstream drug law reformers have kept their money out, they're vocally supporting him. The fringe, however, has different ideas. Soares represents medical marijuana dispensary owners in Southern California, where she often faces a very hostile environment from local cities and counties. While medical marijuana has flourished in Northern California, places like Anaheim, San Diego, and Irvine have banned dispensaries and continue to fight them in court. It's this heated environment that has turned Soares against Prop 19. Because Prop 19 allows cities and counties to opt in or opt out of commercial sales, she says people in "dry" counties like Orange have no reason to vote for it, because they have nothing to gain. 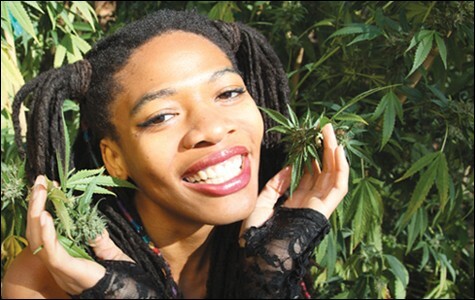 She wants the state to mandate commercial sales of pot in such conservative hotbeds. 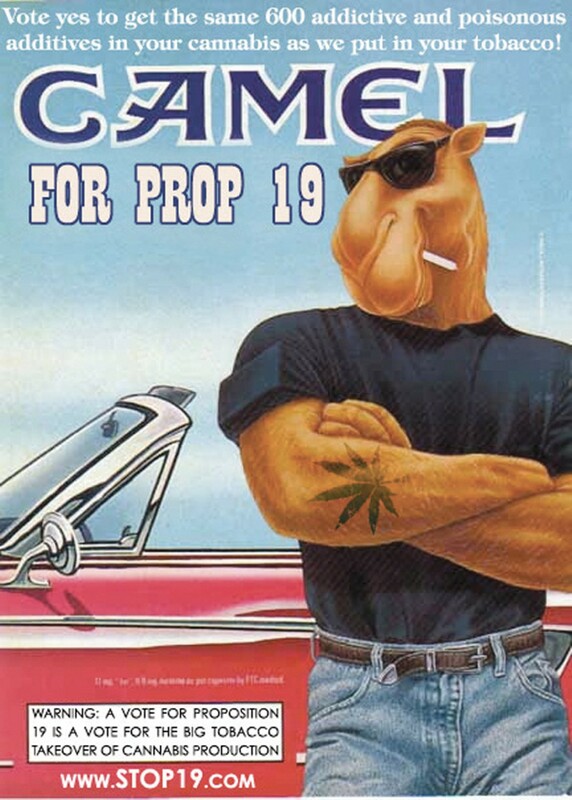 Proposition 19 loss stems from apathy, funding, fear, and loathing. Just the facts about the initiative.